1. Grants training to be completed by April 1, 2019. (5 webinars are scheduled and you need to register for those please if unable to attend the PRE PETS meeting). Grants training is available at the PRE PETS meetings in late February. See list attached for times and places. 2. Memorandum of Understanding is due to Cassy Venters by April 1, 2019. Information on this will be covered in the training. 3. First round of District Grant applications are due April 1 -April 30. If funds still are available, then second round of applications are due May 1-15. And if funds are still available, then the third round will be June 1-June 15. 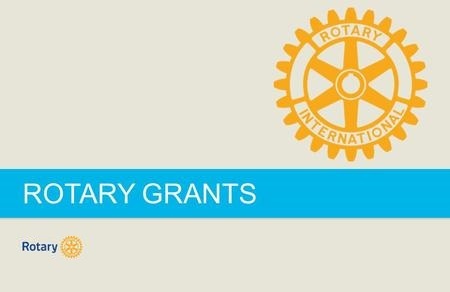 Note: After the first round, Clubs can apply for more funds for the Grant submitted in the first round or they can apply for a second District Grant. Pat Kurtzeman of the Kirksville Thousand Hills Club, has agreed to help as Assistant District Grants chair this year and appreciate that. We also have Grants Committee members that will be calling on your Clubs to help assist you if needed and answer any questions you might have. Those Committee members are: Gary Black- Trenton, Donna Brown-Higginsville, Sallie Buck-Marceline, George Koontz-Scotland County and Dave Rainey-KCI. Each of us on the Committee will have 7 or 8 Clubs to help and work with during this Kimbrough Challenge year.